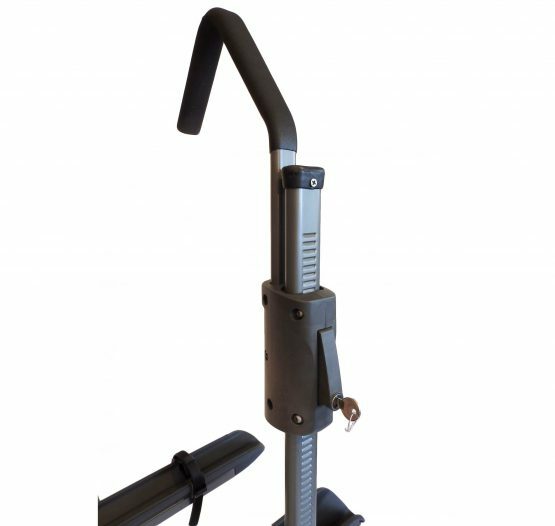 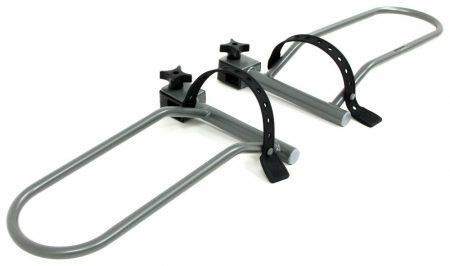 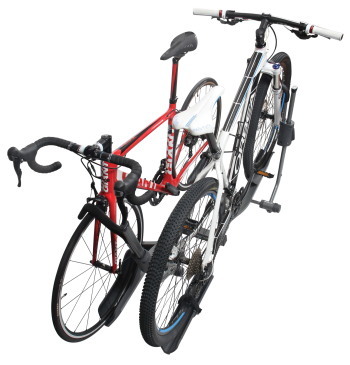 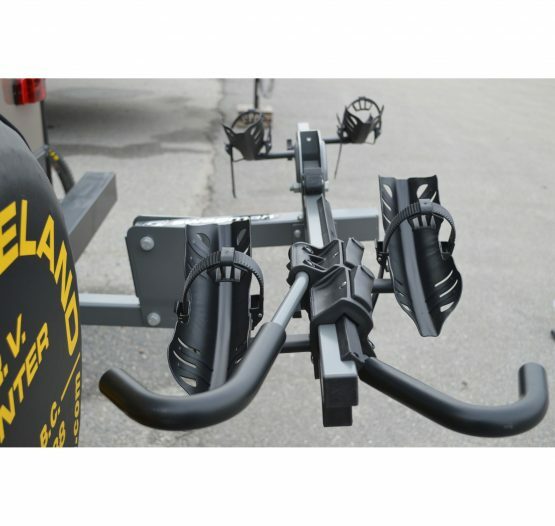 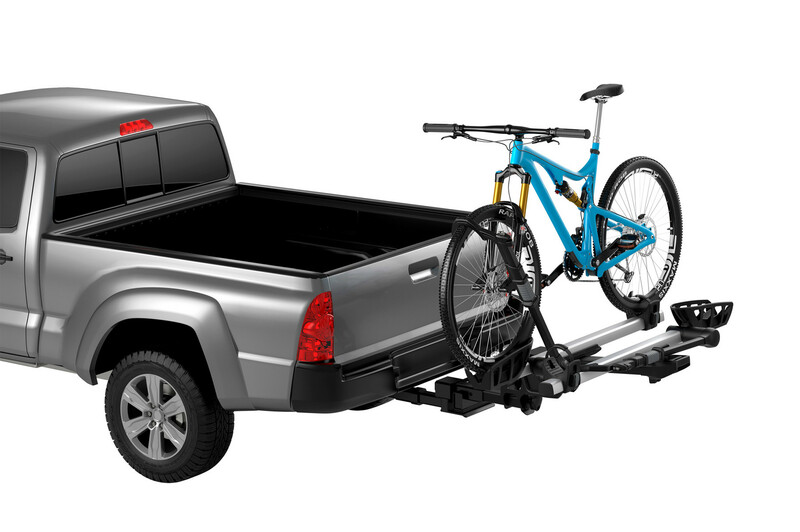 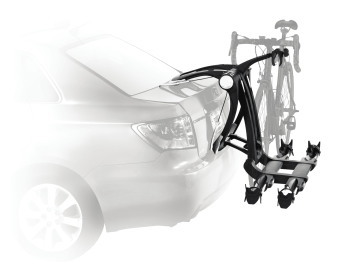 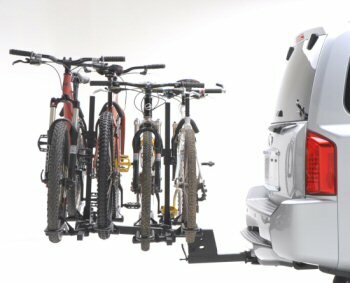 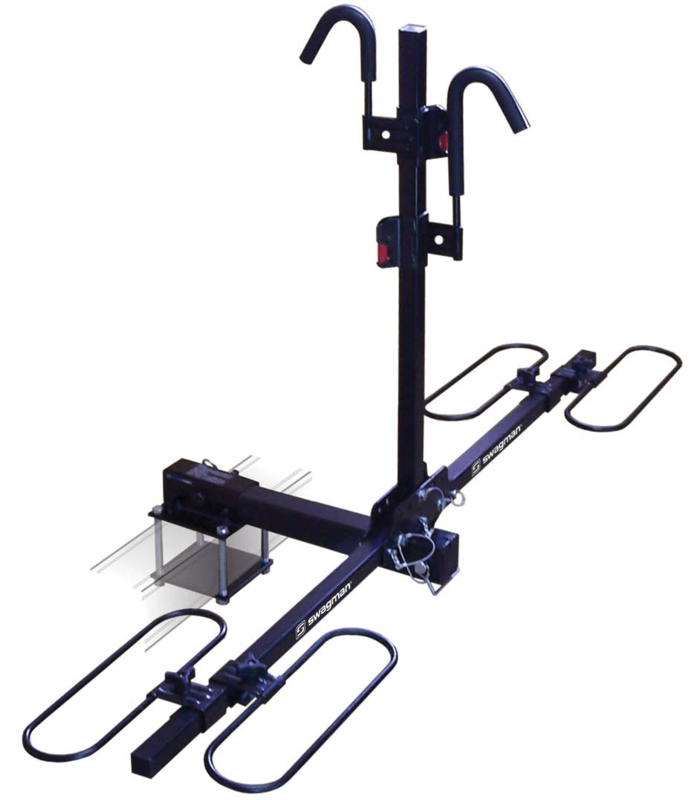 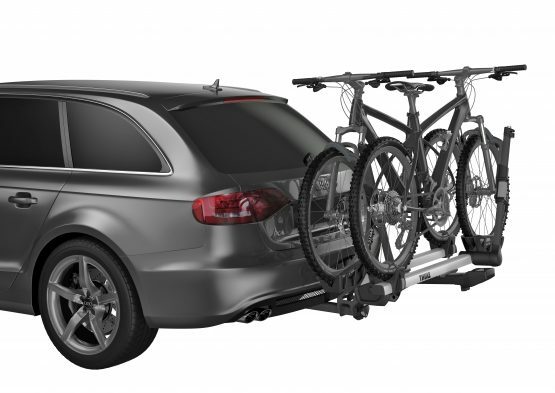 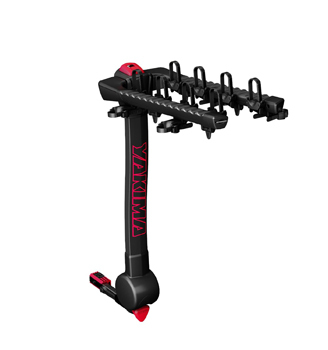 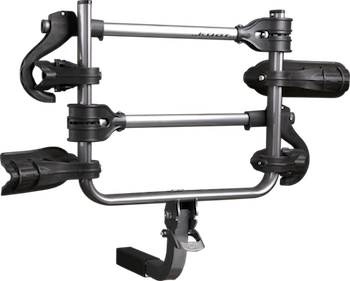 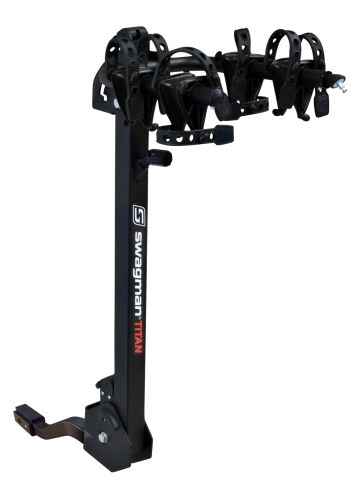 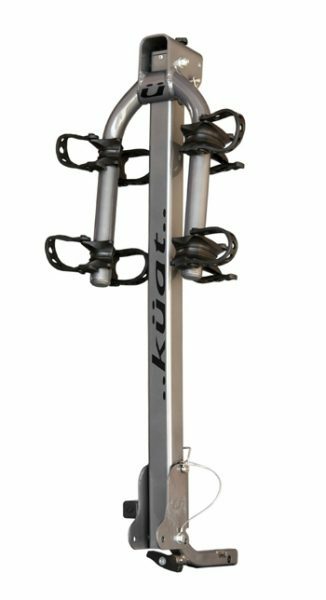 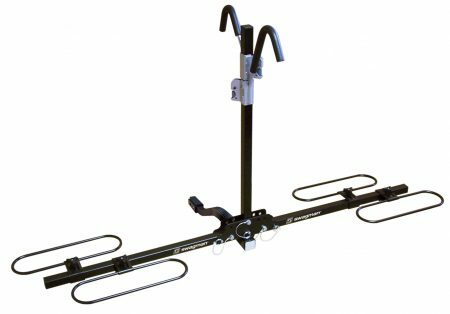 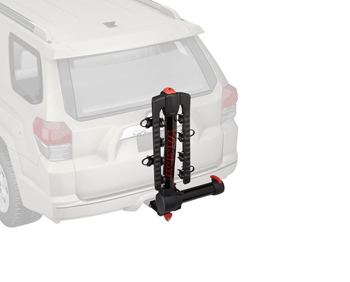 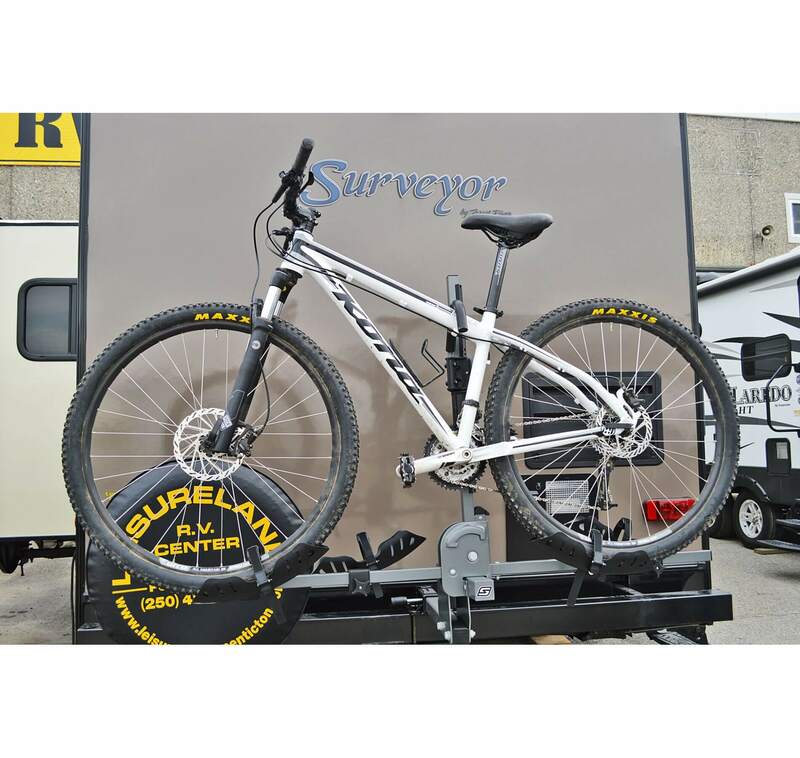 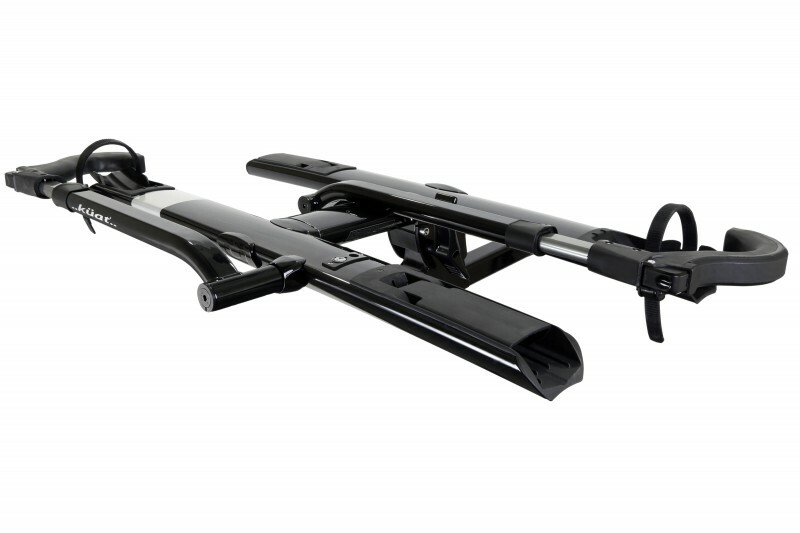 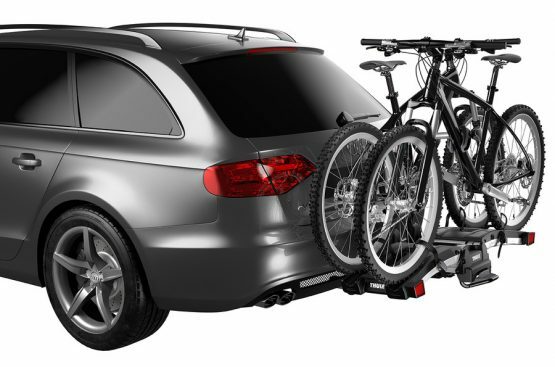 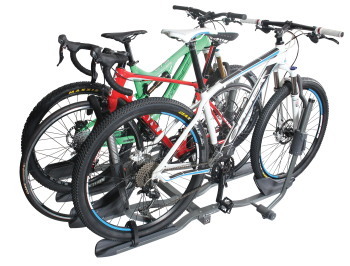 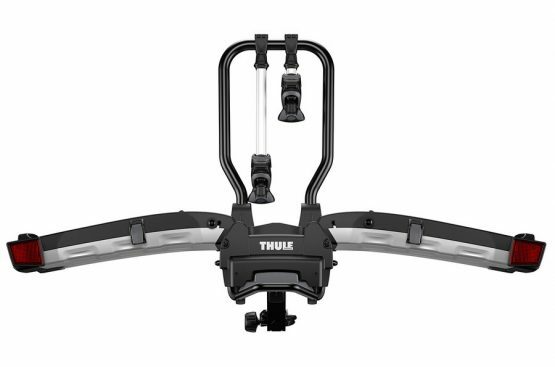 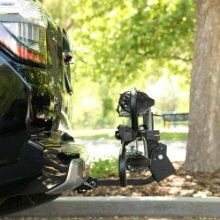 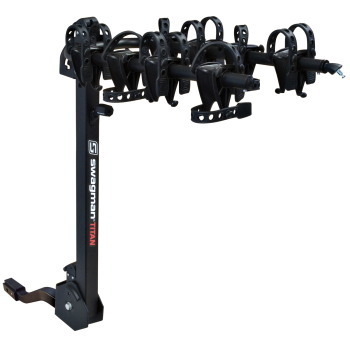 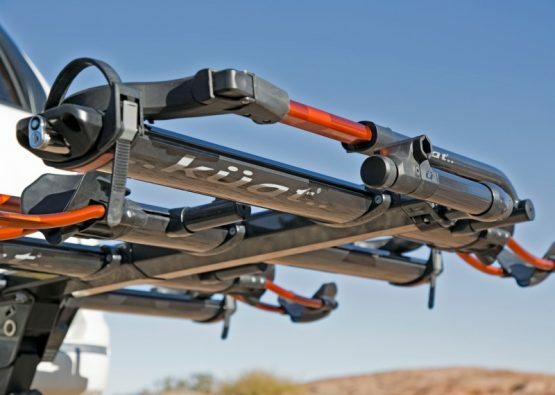 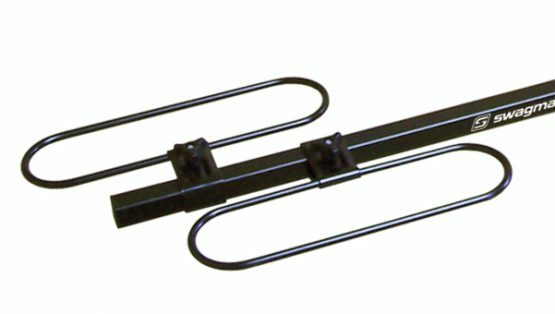 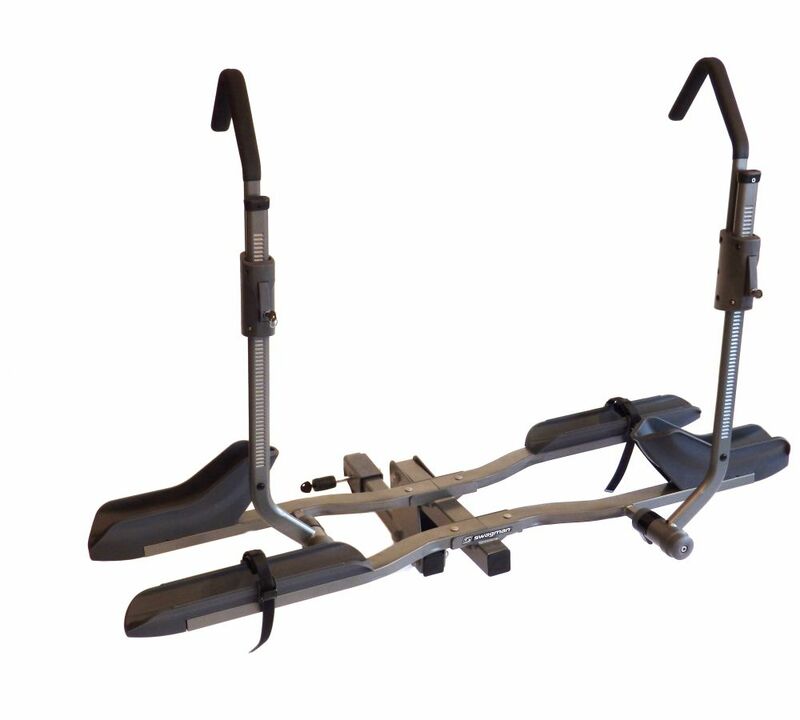 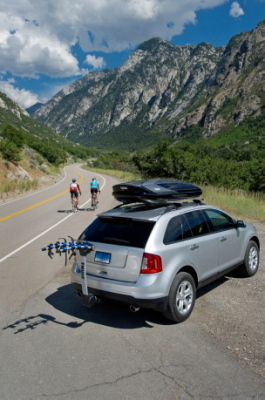 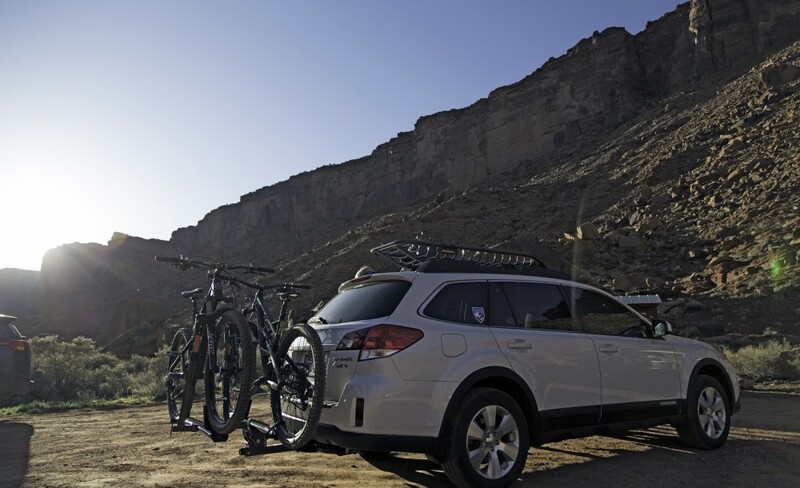 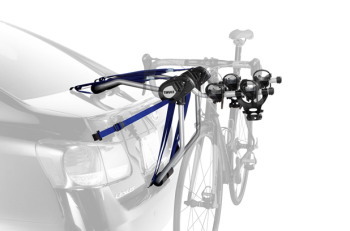 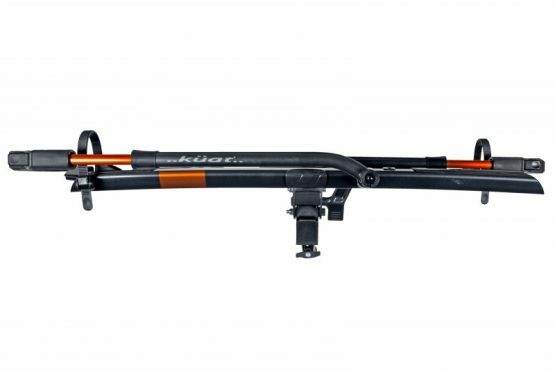 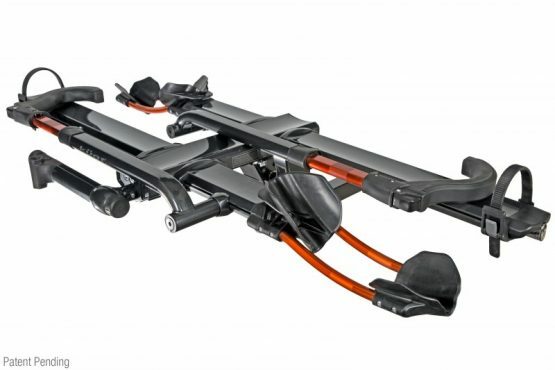 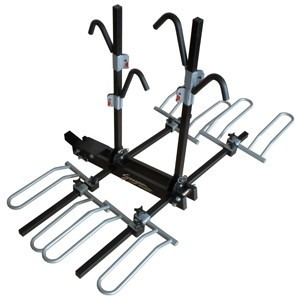 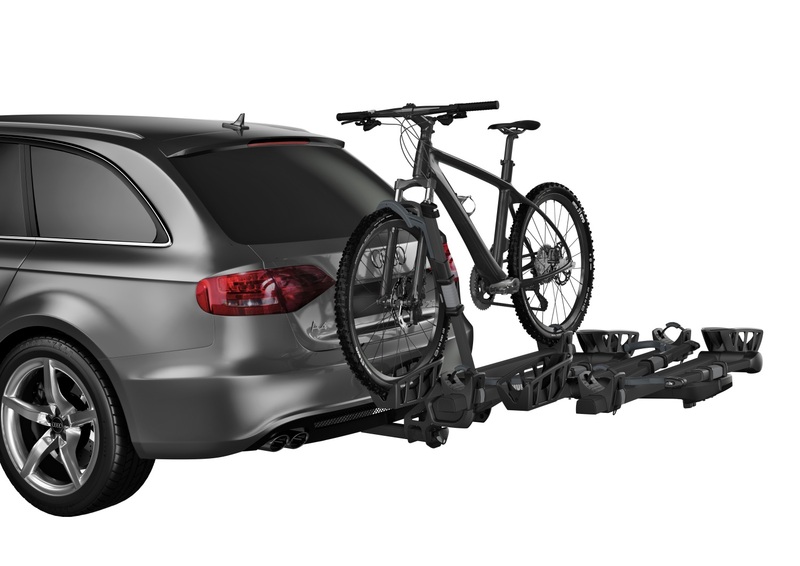 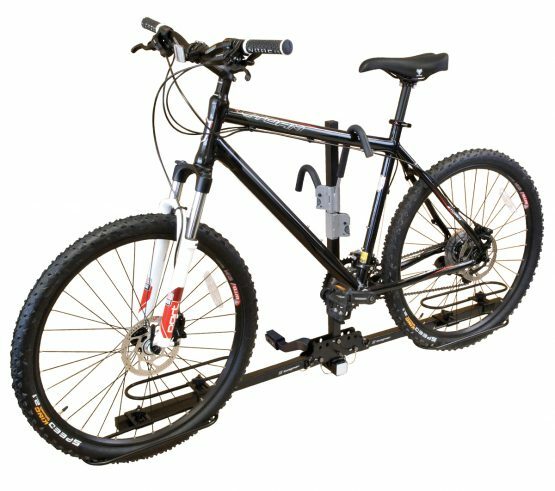 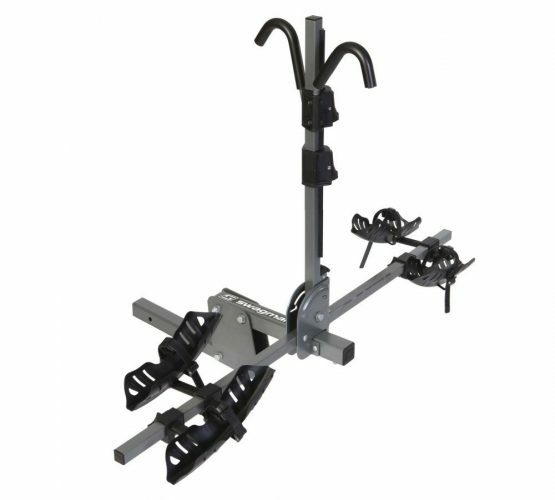 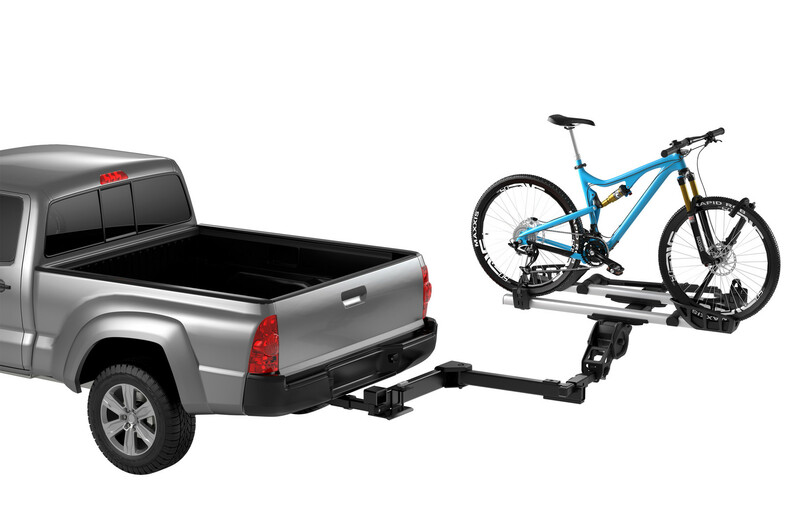 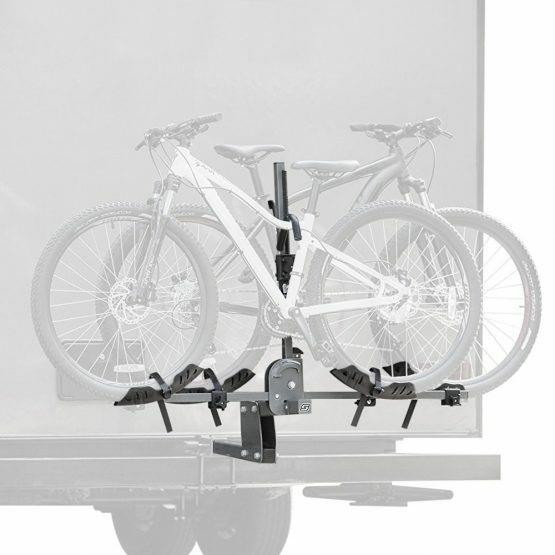 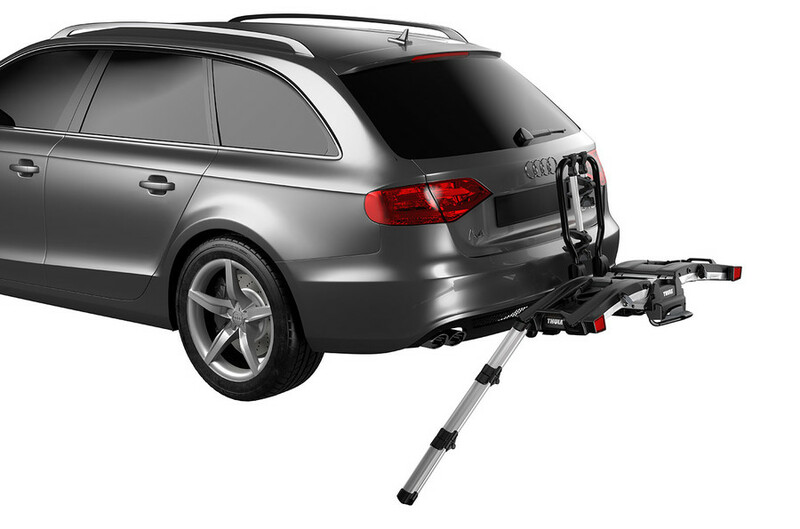 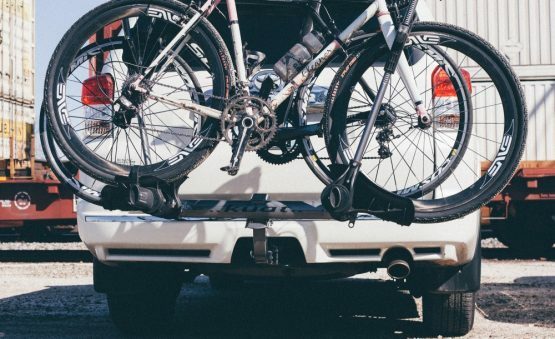 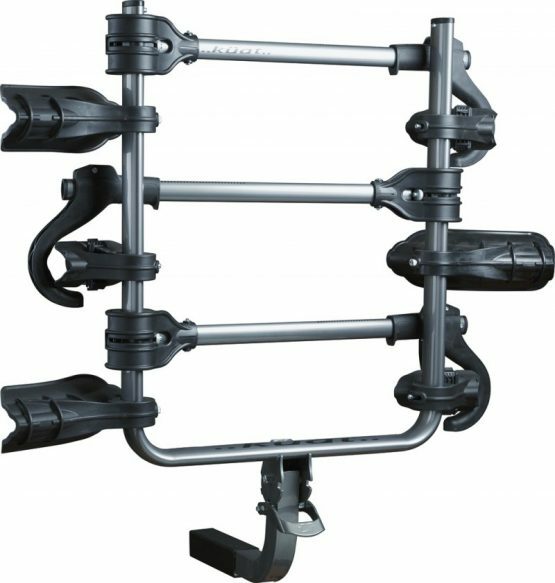 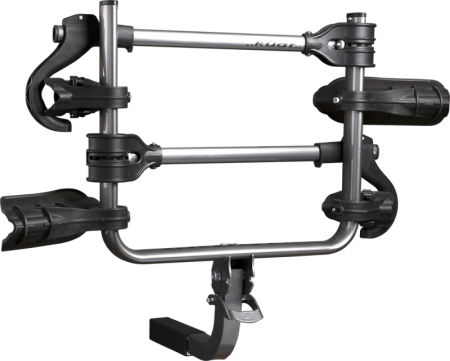 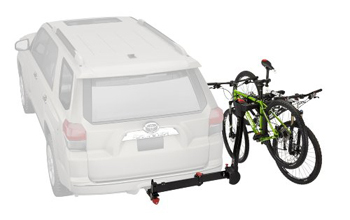 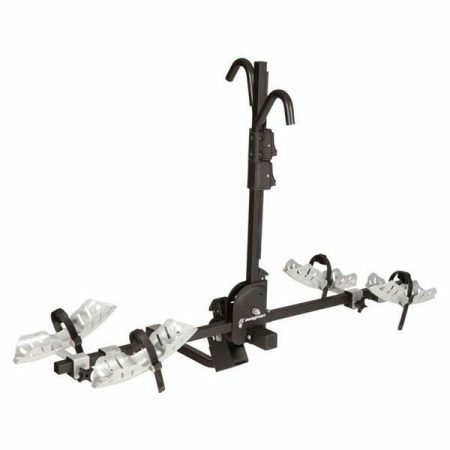 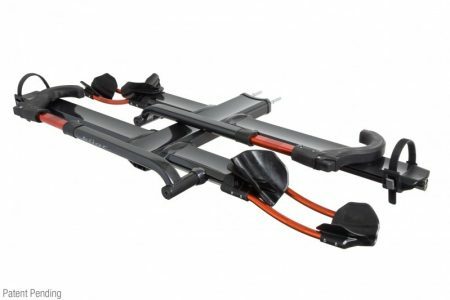 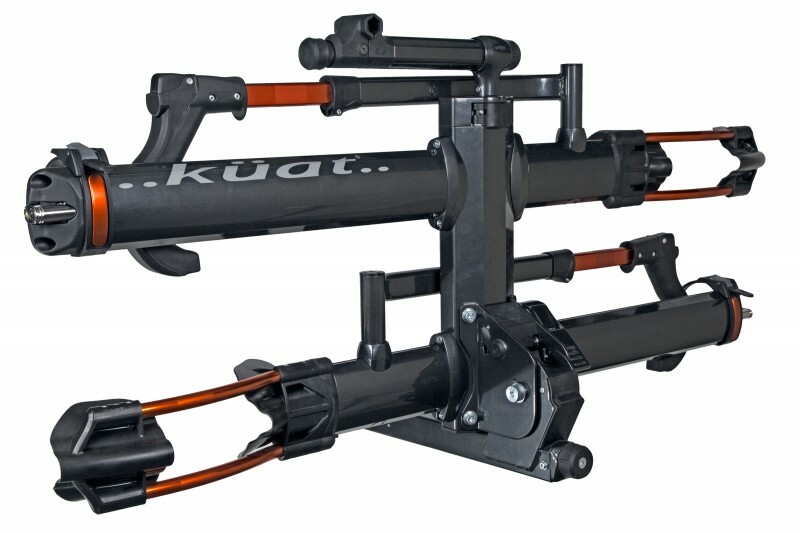 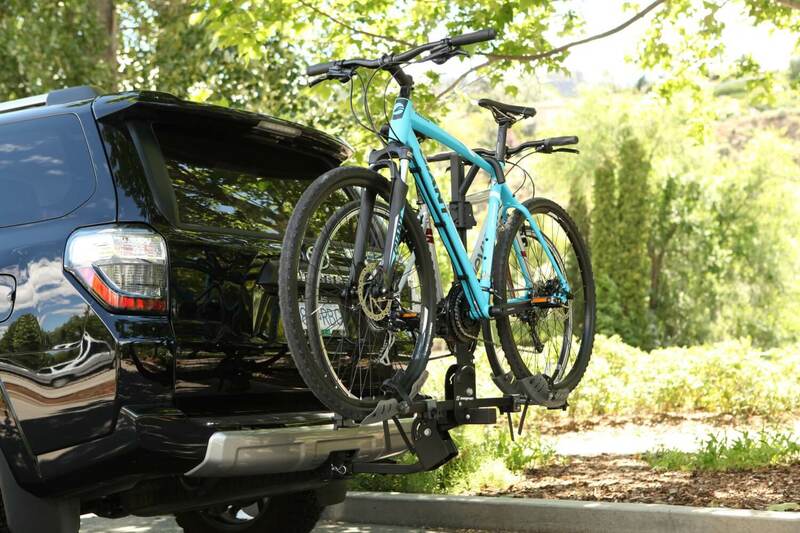 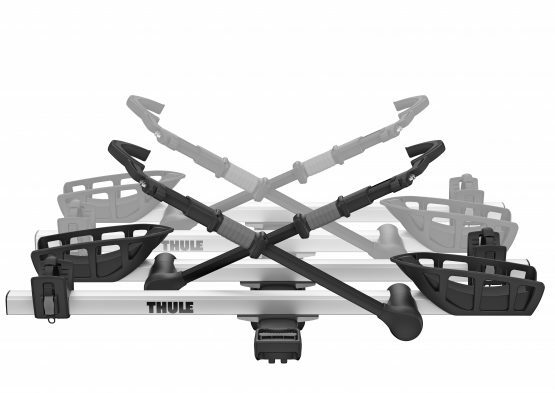 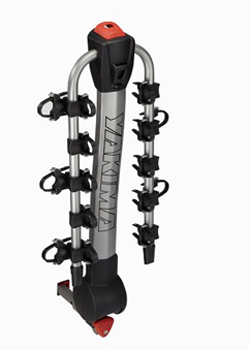 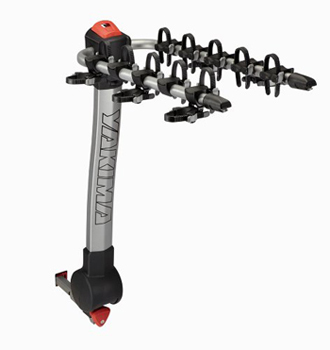 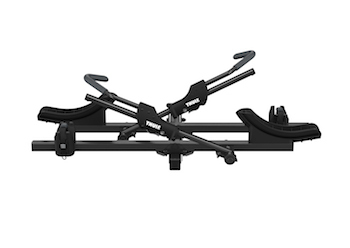 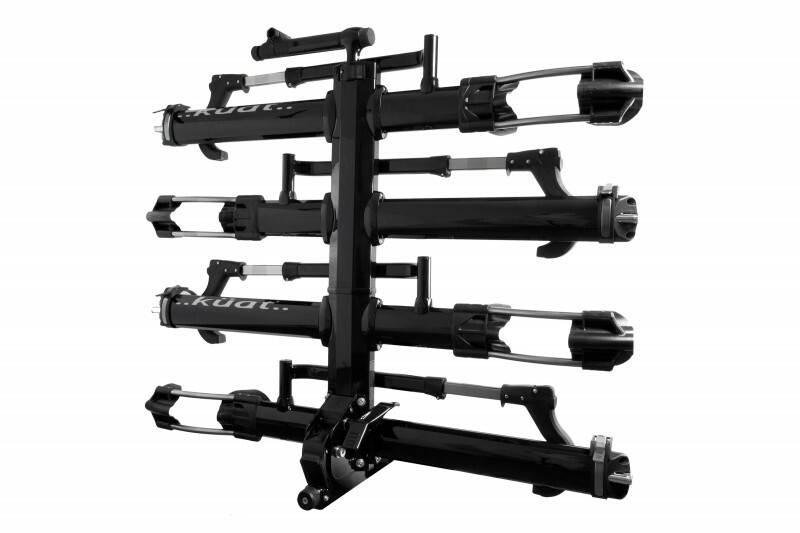 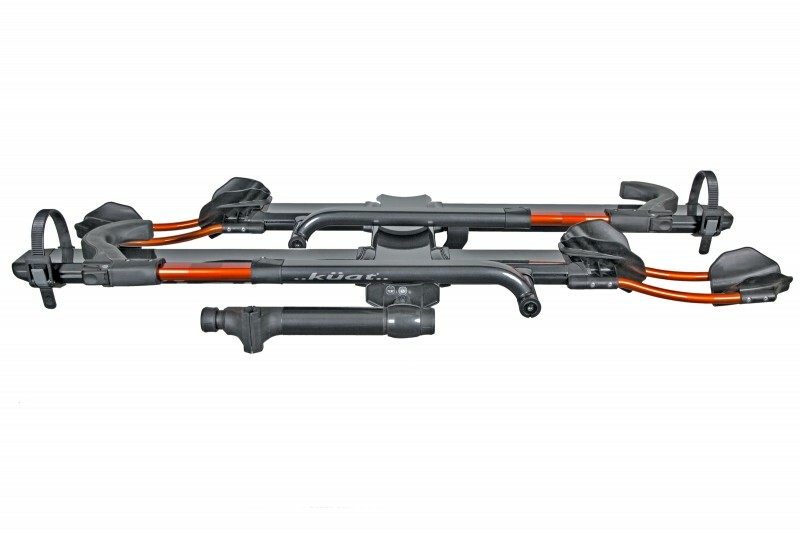 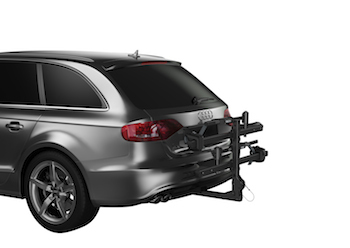 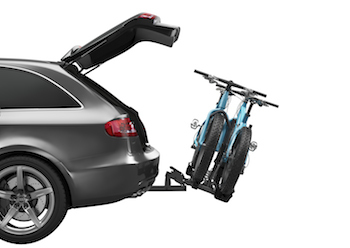 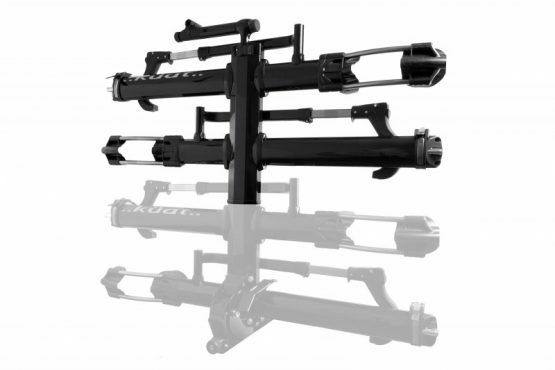 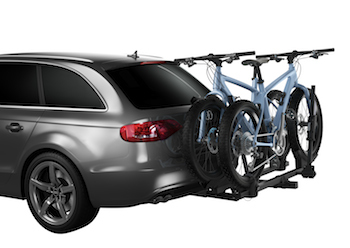 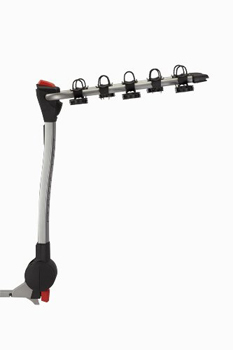 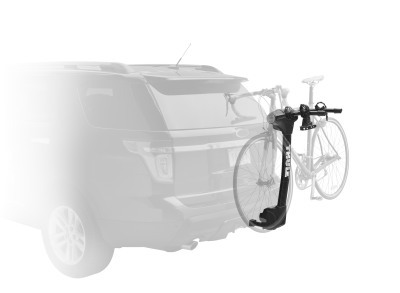 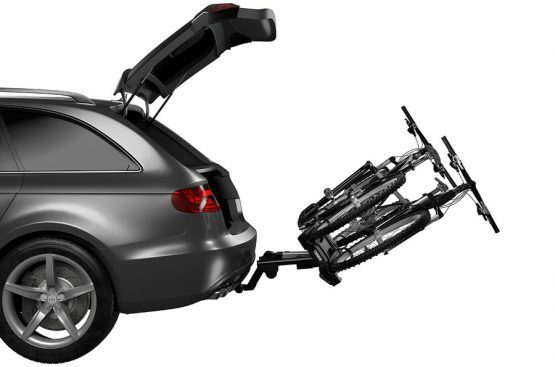 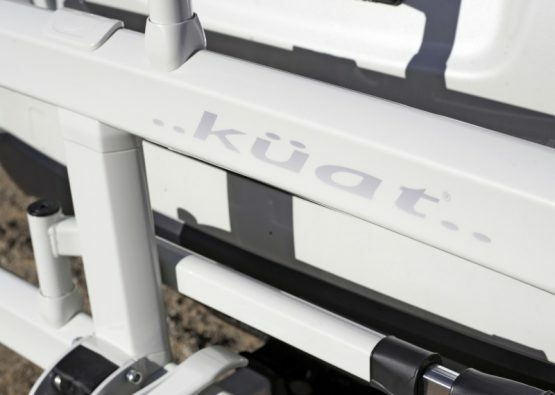 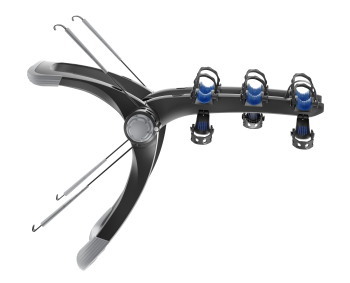 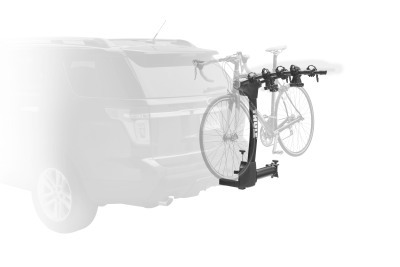 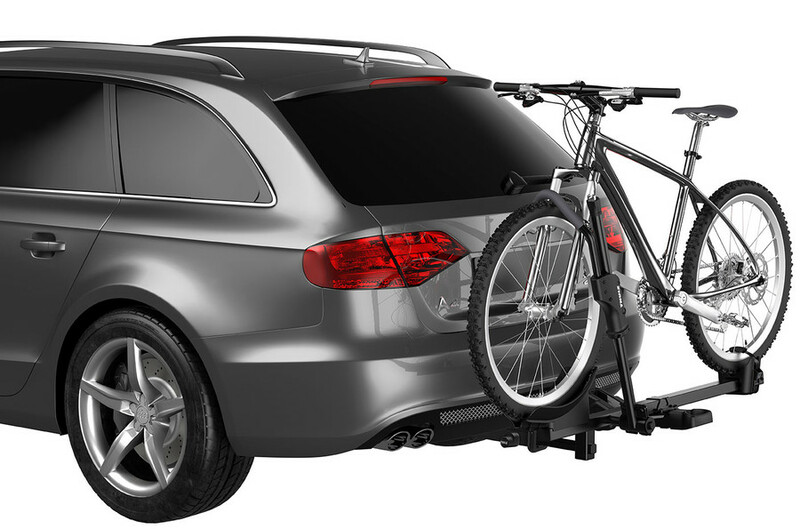 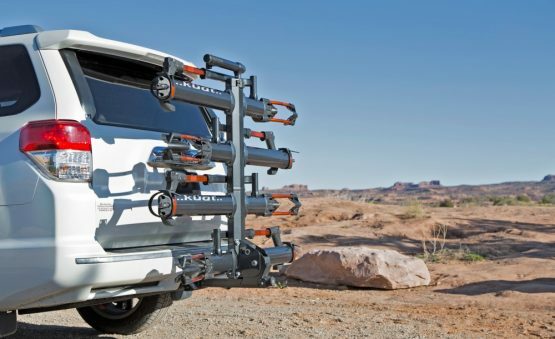 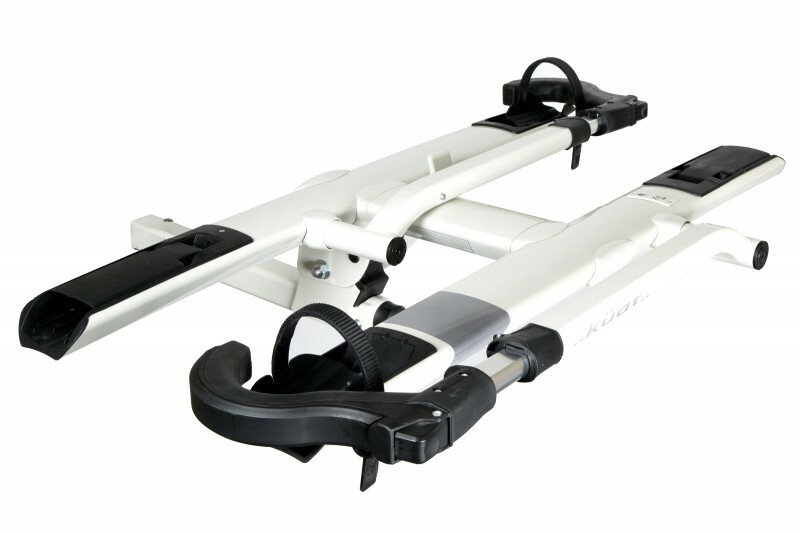 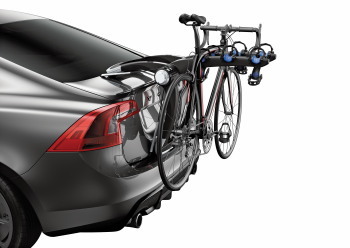 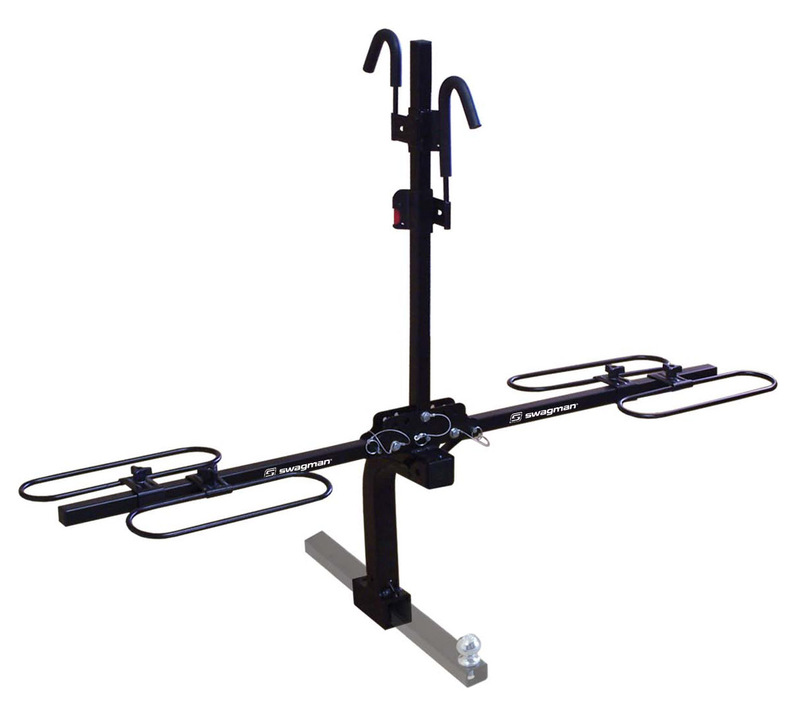 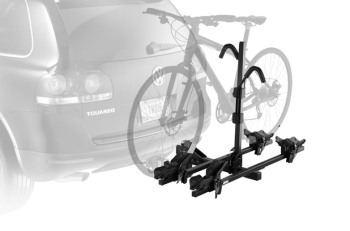 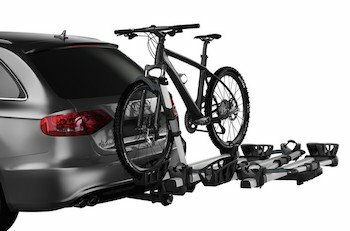 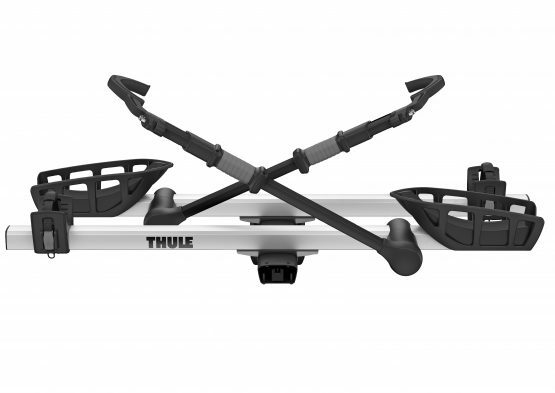 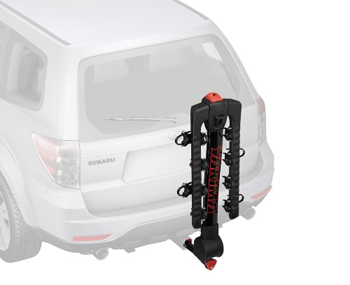 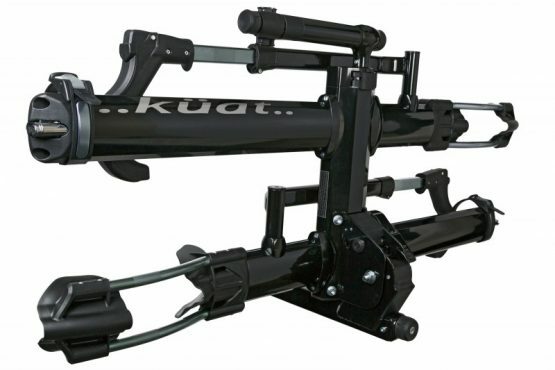 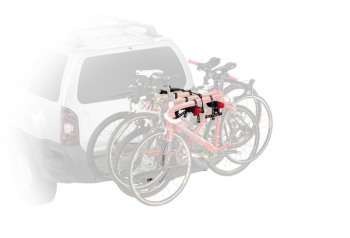 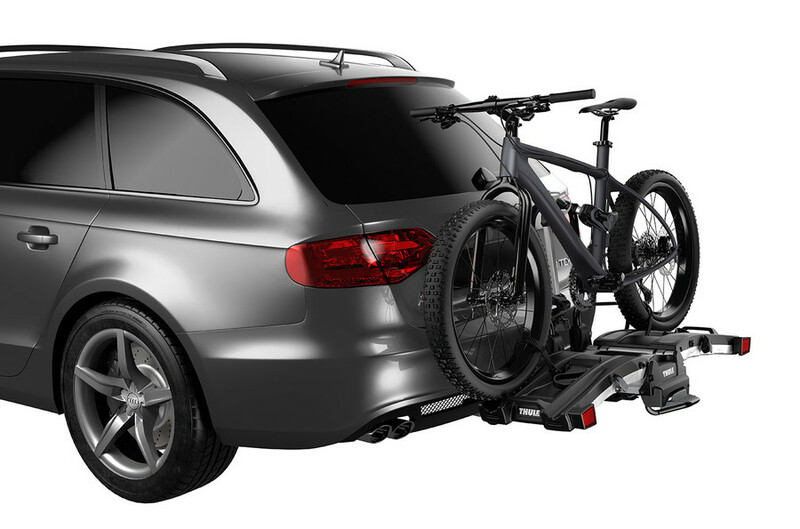 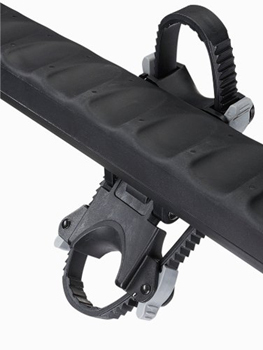 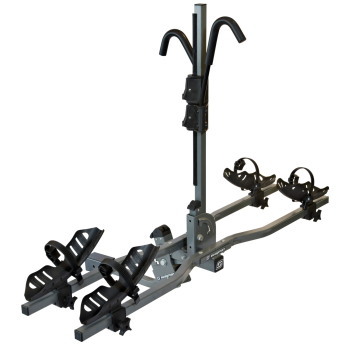 The SportRider 4 is a heavy duty 4 bike capacity rack that will fit almost any style of bike using a padded universal top clamp and adjustable wheel holders. 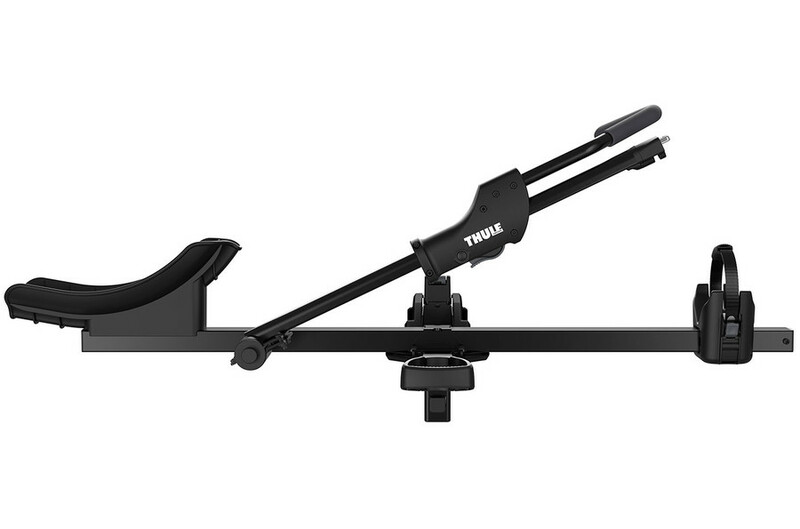 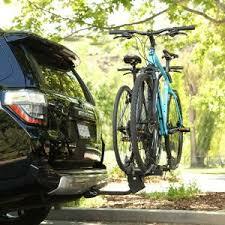 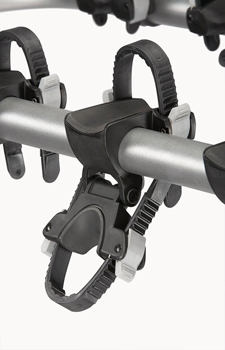 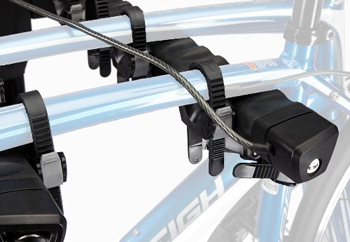 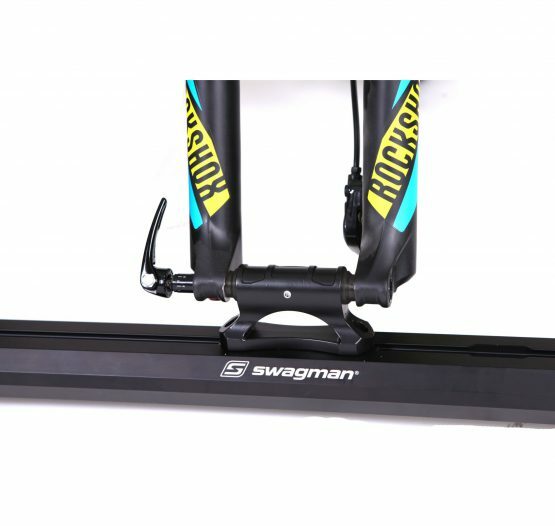 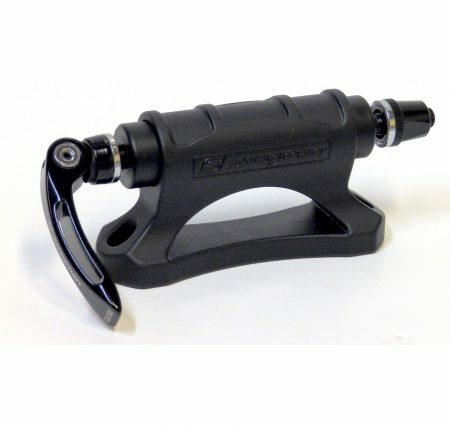 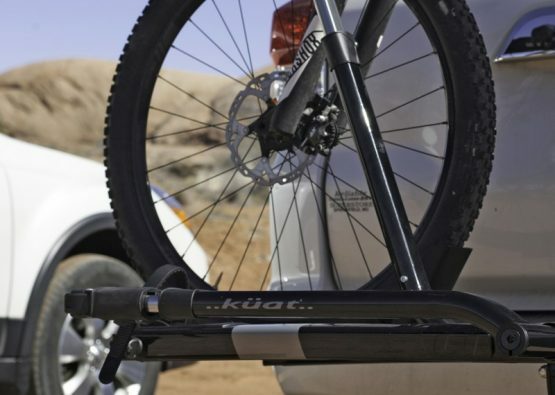 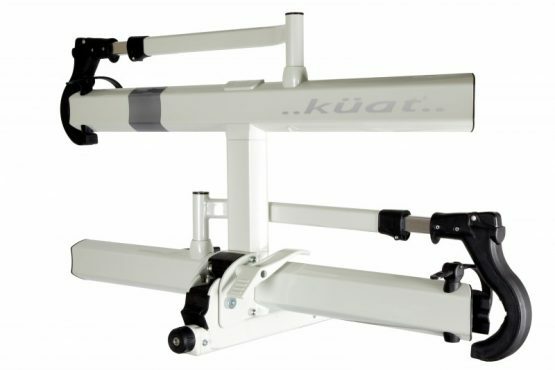 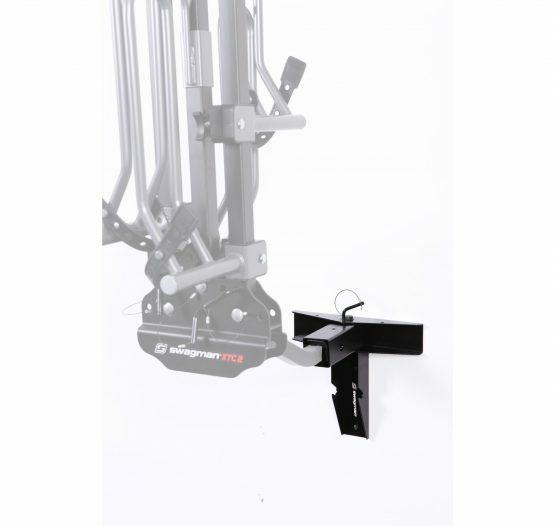 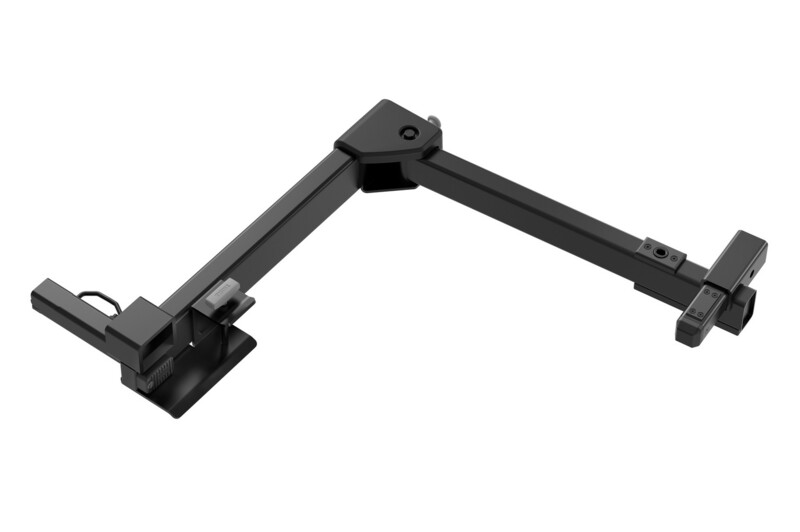 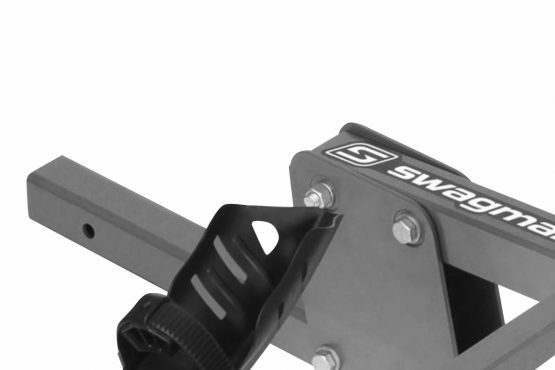 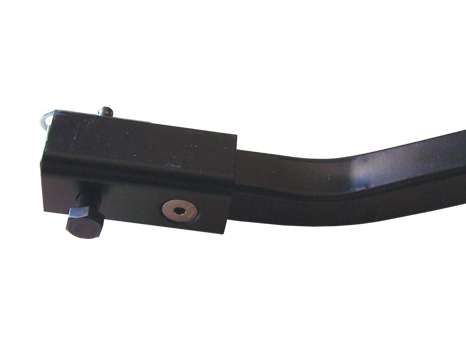 Simply drop the bike into the wheel holders, then slide the self locking clamp down onto the frame to secure the bike. 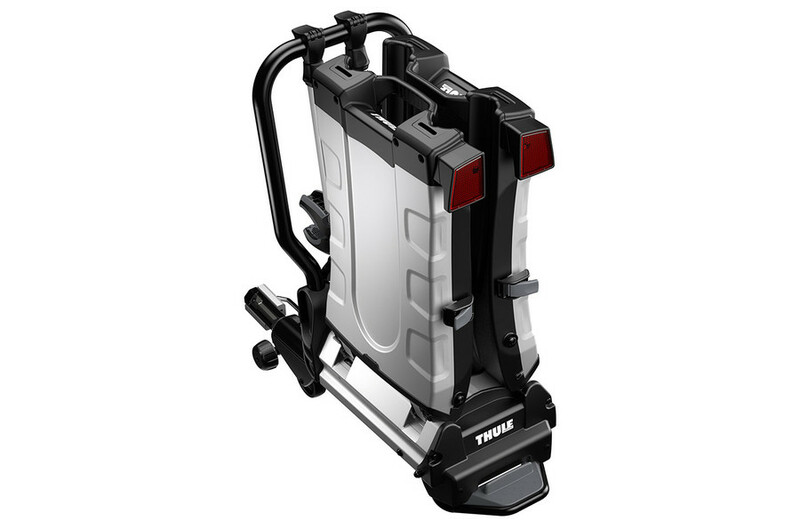 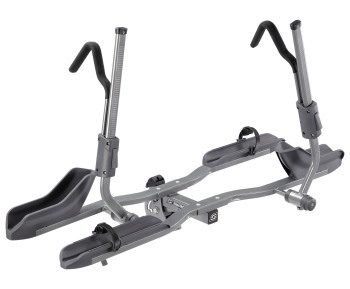 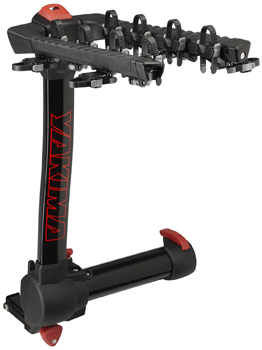 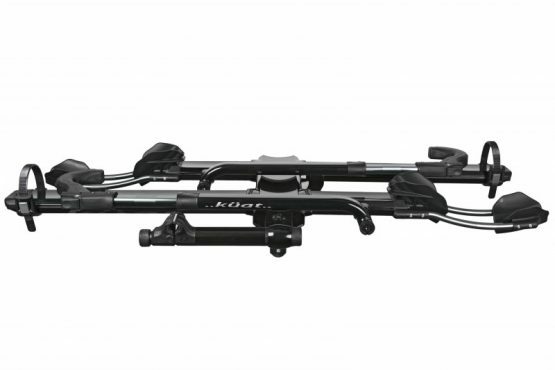 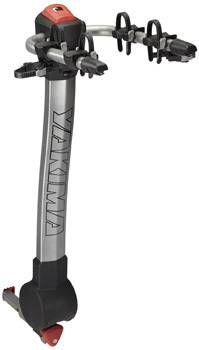 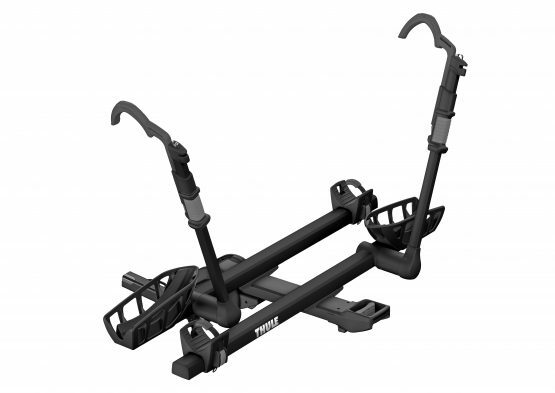 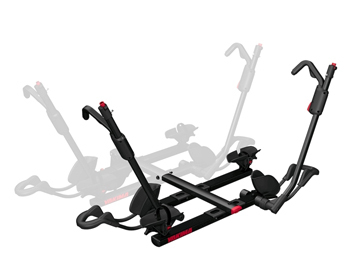 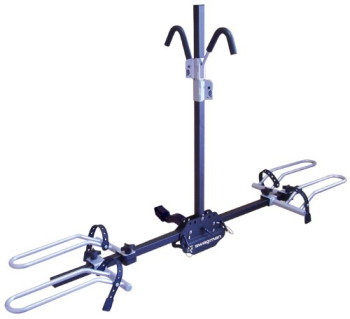 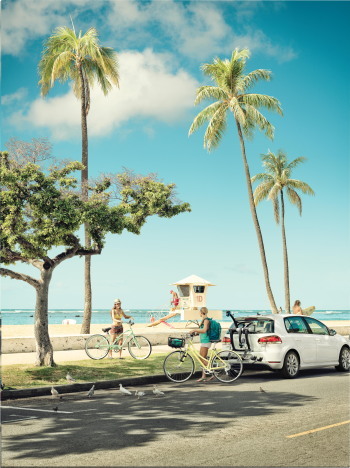 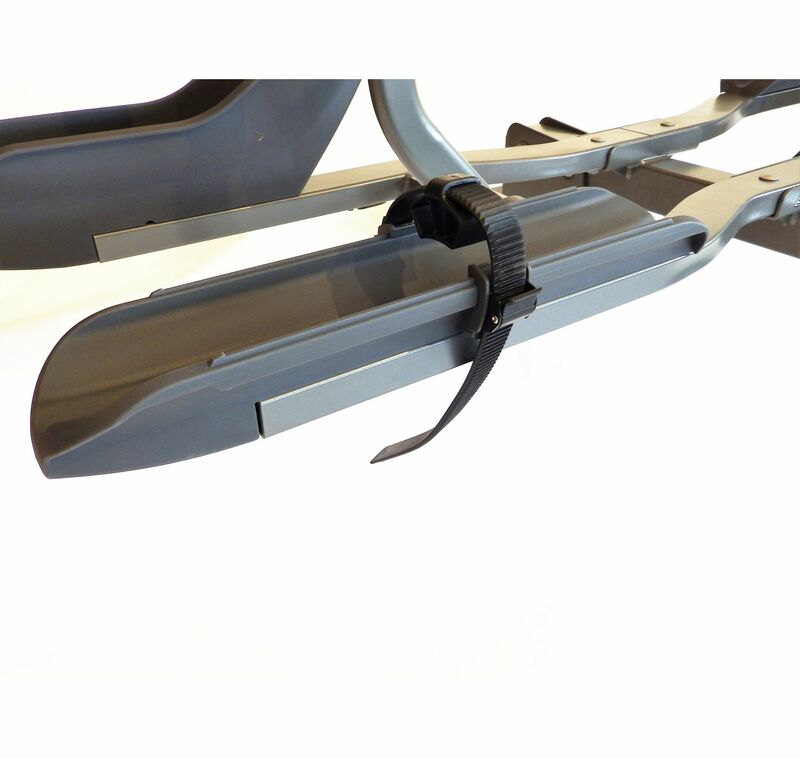 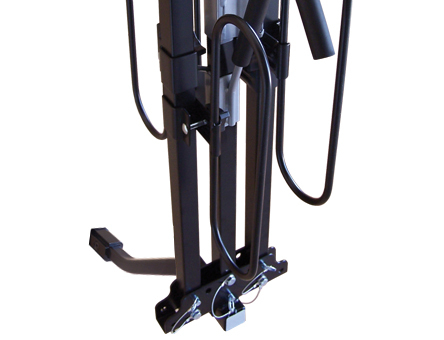 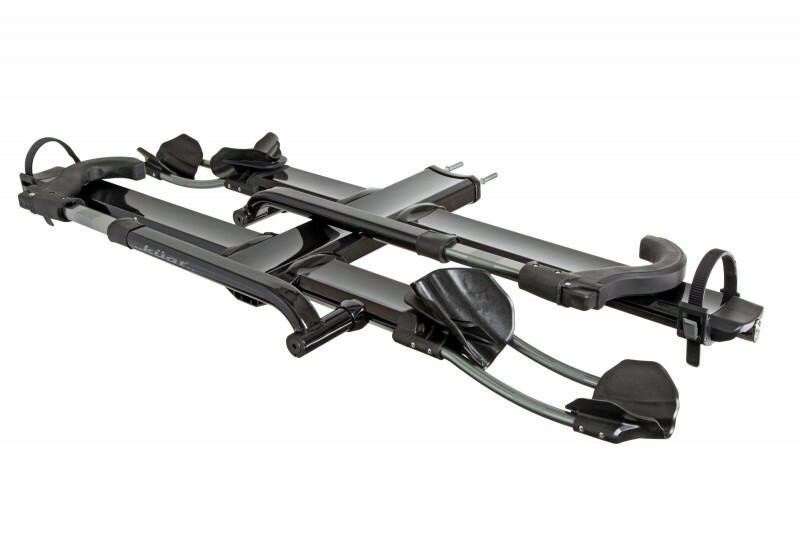 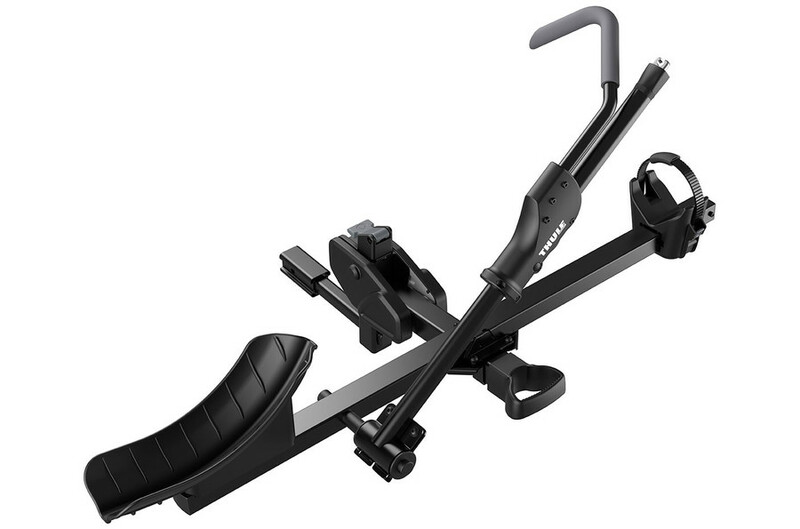 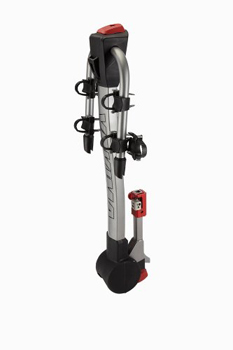 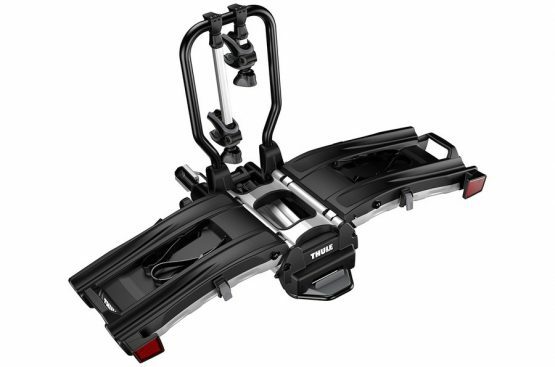 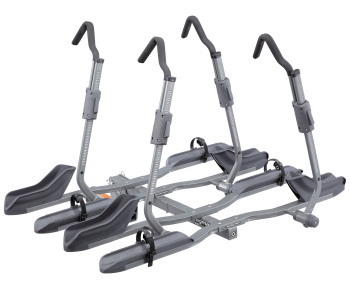 For ease of use, the Sportrider 4 comes out of the box set up as a two bike base unit. 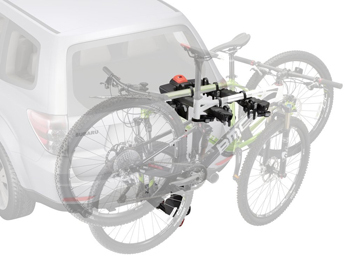 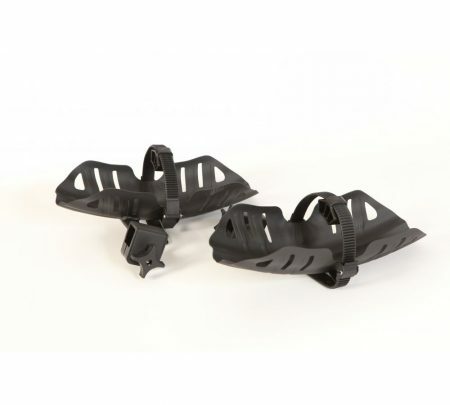 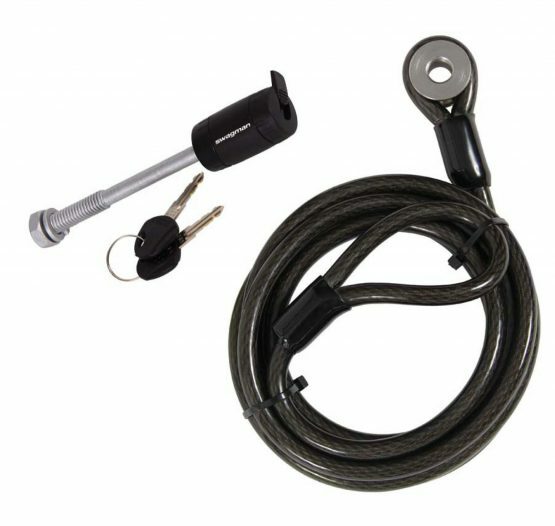 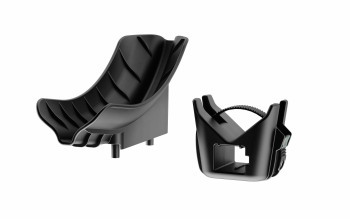 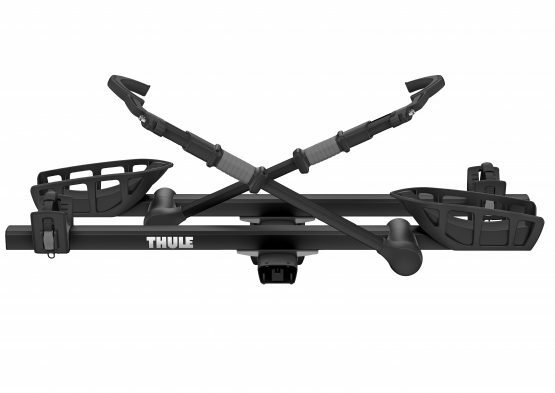 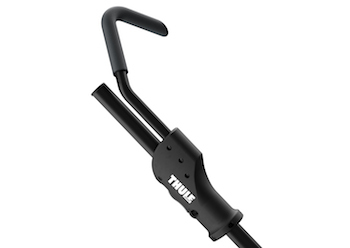 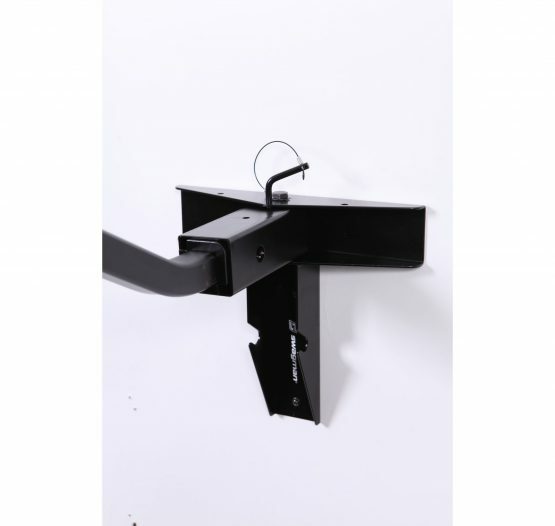 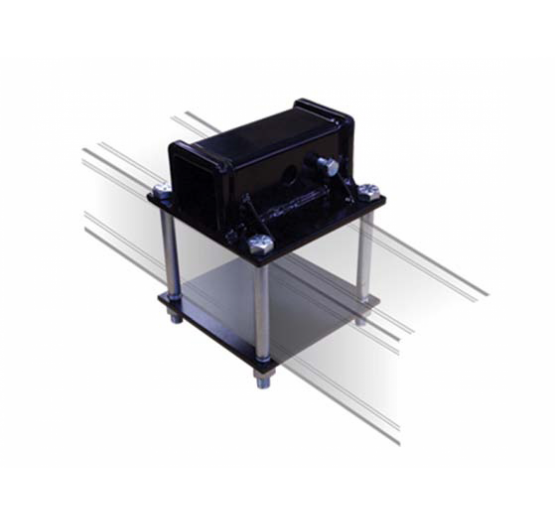 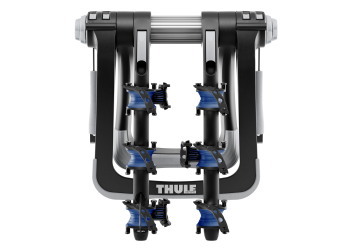 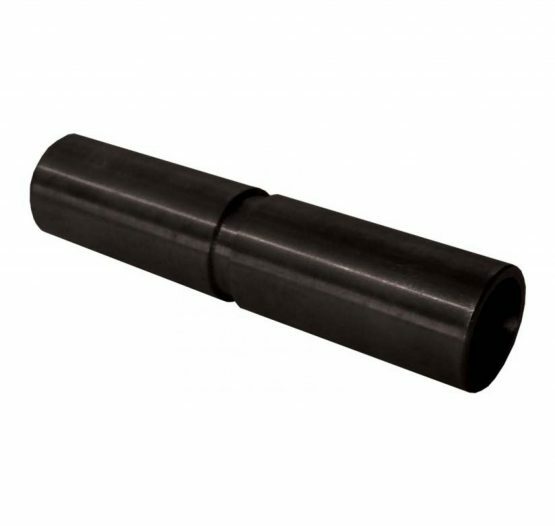 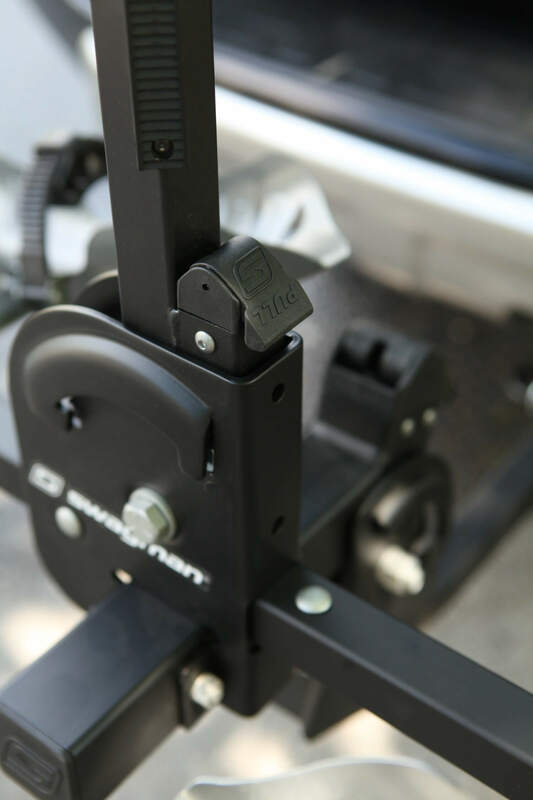 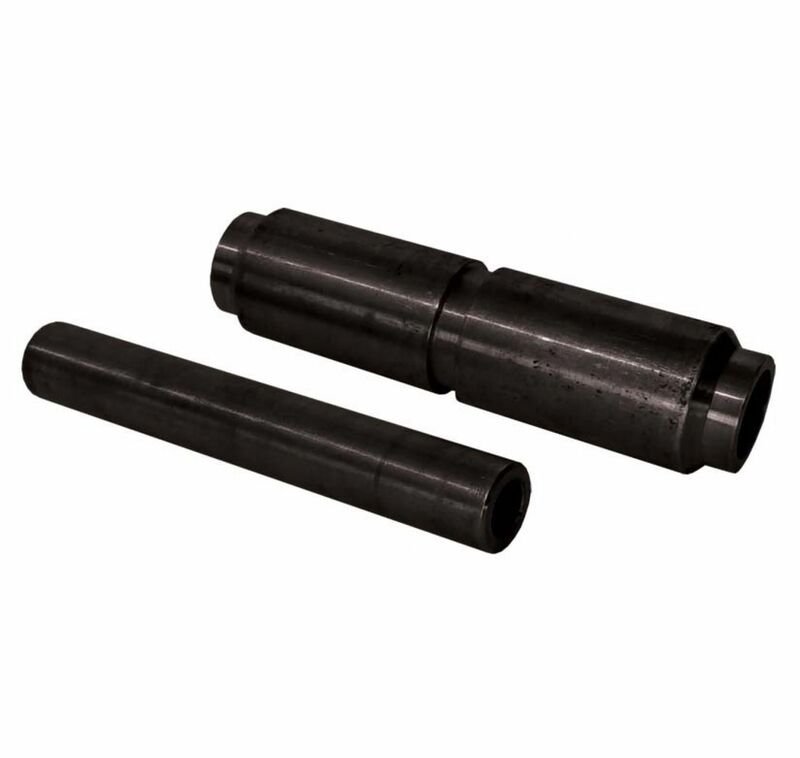 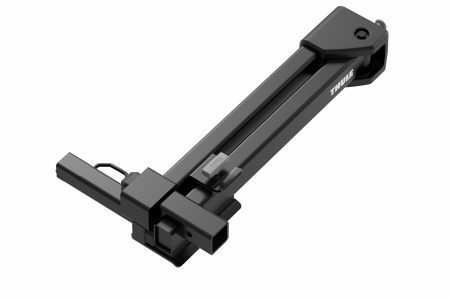 The two bike add-on kit (included in the box) is easily assembled to the base unit by installing & tightening two bolts. Features patented ?no wobble-no tools? 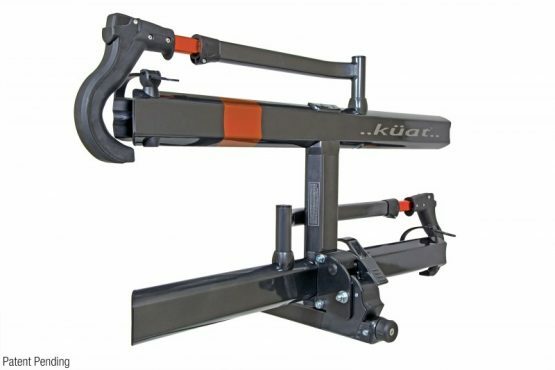 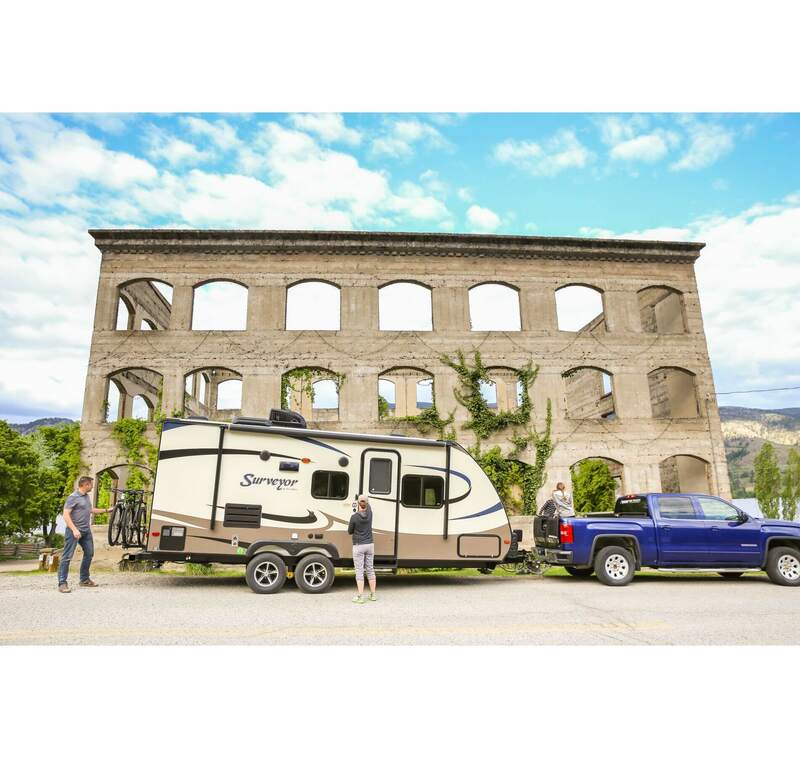 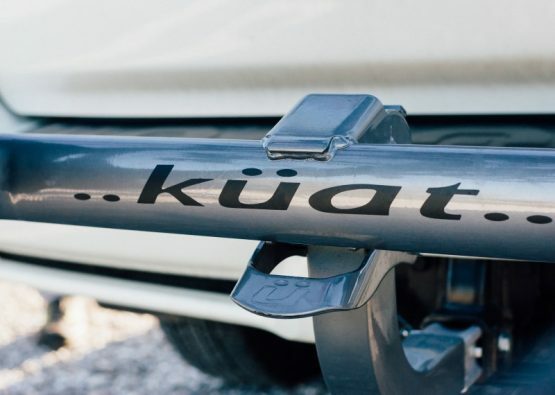 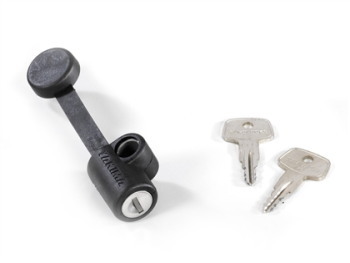 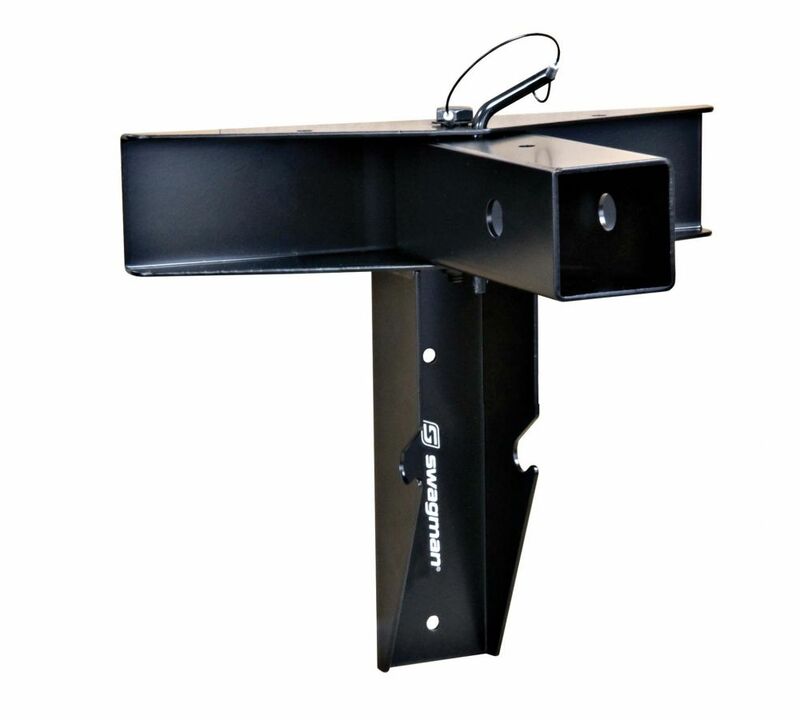 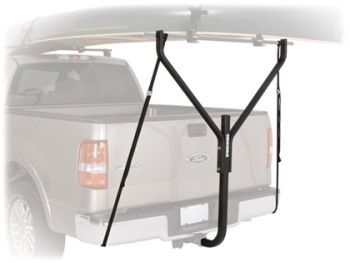 hitch tightening system, and a keyed alike locking hitch pin with 8? 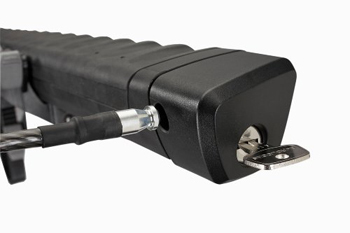 security cable is included. 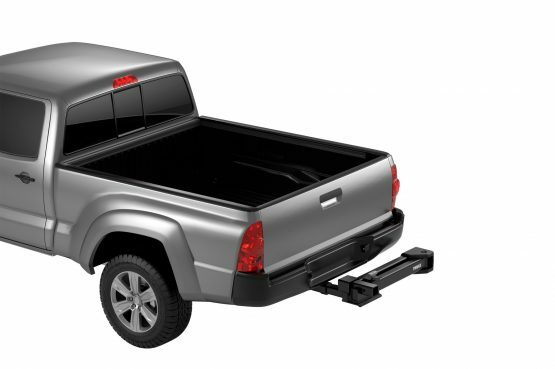 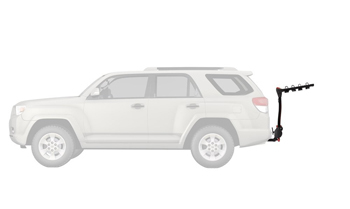 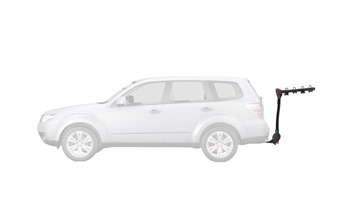 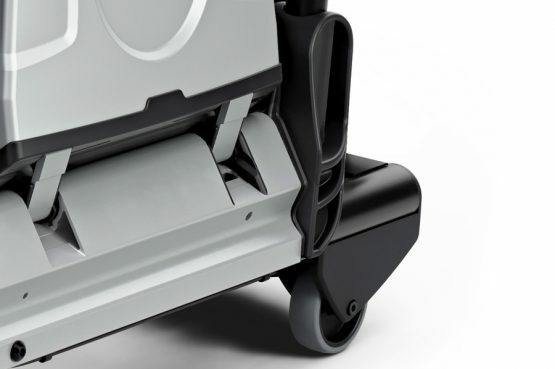 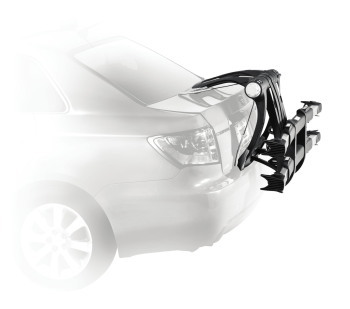 Folds flat against the car when not in use and tilts down for easy cargo door access. 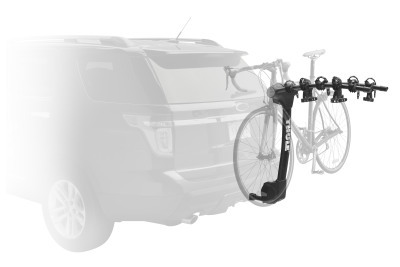 For 2? hitches only.